Whiz! Bang! Boom! This Dynamite Red lives up to its name. Happy Independence Day, readers! It feels good to get my lazy self back on the blog — not that I haven’t been busy; I most definitely have been, what with wrangling my 9-month old monkey, taming the beasts Dishes and Laundry, and now starting a job hunt. I think I do better with writing when I have more on my plate, but not too much that it’s overwhelming. When there isn’t as much pressing business to do, it’s easier to just do other things instead. A habit I would love to ditch someday! So, today is the one day of the entire season that epitomizes summer. Hopefully your day is full of warm sunshine, a pool/river/lake, ice cream, great fireworks, fun friends and family, delicious BBQ, and, to go with that BBQ… some red wine, perhaps? But it is summer, after all, and it’s nice to go with beverages that are lighter, sweeter, and even served chilled. If that is at all up your alley, I’ve got the perfect wine for you! (And even if it’s not, you still need to try this wine). Have any of you ever had wine from Arizona? I used to winter in Tucson the last couple years for management training for my old job. My husband would accompany me and while I was in class during the day he would drive around and explore. He found Silver Strike Winery in Tombstone, and picked up their Dynamite Red one year. The next year we bought some again, and now we miss it and are thinking we need to order some soon. 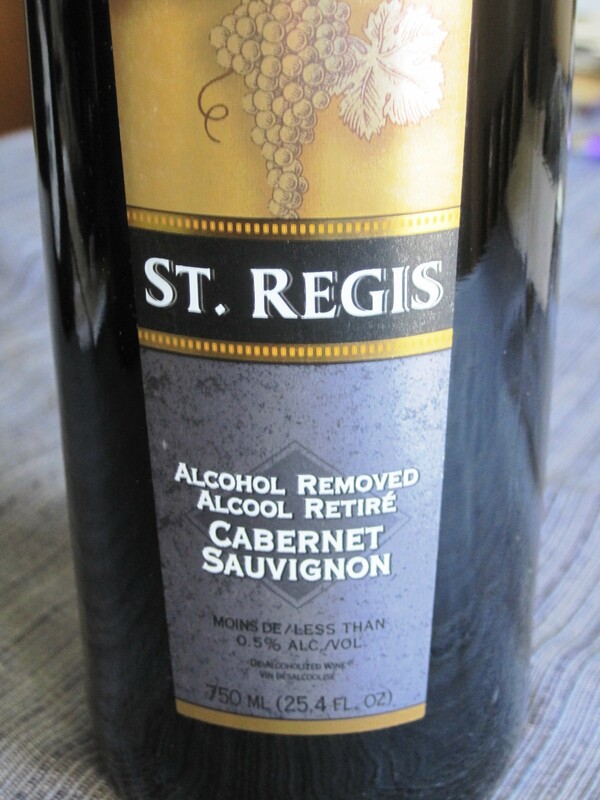 This wine is produced and bottled in Elgin, AZ. It’s a fairly sweet red, very tasty and refreshing, especially for Arizona heat or any summer clime. We found we liked drinking it slightly chilled. There is something really nice about finding a great, delicious, straightforward, easy-drinking red that practically anyone will enjoy. Trophies in your wine arsenal. Another benefit to drinking this (or any) wine from Silver Strike Winery is the winemakers’ philosophy of minimal chemical tampering with the grapes, and using organic and biodynamic growing methods to coax out their best flavors… a practice I will always stand behind! While I’m aware I’ve given you pretty short notice on securing this red, as today is the Fourth, you can always order through their website. We still have plenty of summer left, and the Internet is always open for business, so no excuses! I believe the cost was somewhere in the ballpark of $15-$30. Ask about some of their other wines, too, while you’re at it. (And let them know you heard about them on The Rambling Vine). They have another one called “Village of Elgin”, I believe, that I also really enjoyed. Until next time, I wish you all a wonderful Fourth, and hope you strike it rich with some Dynamite Red this summer! It started with the urge to make a decadent cheesecake for my mom’s birthday. When I googled snickers cheesecake, I came up with results that showed cheesecakes with swamps of Snickers bar chunks on top. This seemed like a good idea (and it’s not bad, I’ve had it at the Cheesecake Factory before), but not quite what I was hoping for, as far as great flavor and texture are concerned. Instead, I decided to pay tribute to the spirit of a Snickers bar, with roasted, salted peanuts, hot fudge, caramel, and whipped cream on top. I think I’ve created a winner! Ditch the box of chocolates, Forrest Gump… you and your Valentine will die and go to candy heaven with this recipe. Crush the cookies into fine crumbs in a food processor or blender. Add the butter and mix well. Transfer crumbs to a 10-inch springform pan and press them into an even layer on the bottom of the pan. Bake until the crumbs are set, about 10 minutes. Set aside to cool. For the filling, mix the sugar and eggs in a food processor or with an electric mixer for 1 to 2 minutes. Add the cream cheese in batches and mix until thoroughly smooth. Add the cornstarch and vanilla and mix well. Pour the filling into the crust. Bake until the cake is just set in the center, about 35 – 40 minutes. Remove the cake from the oven and cool for 5 minutes, but leave the oven on. 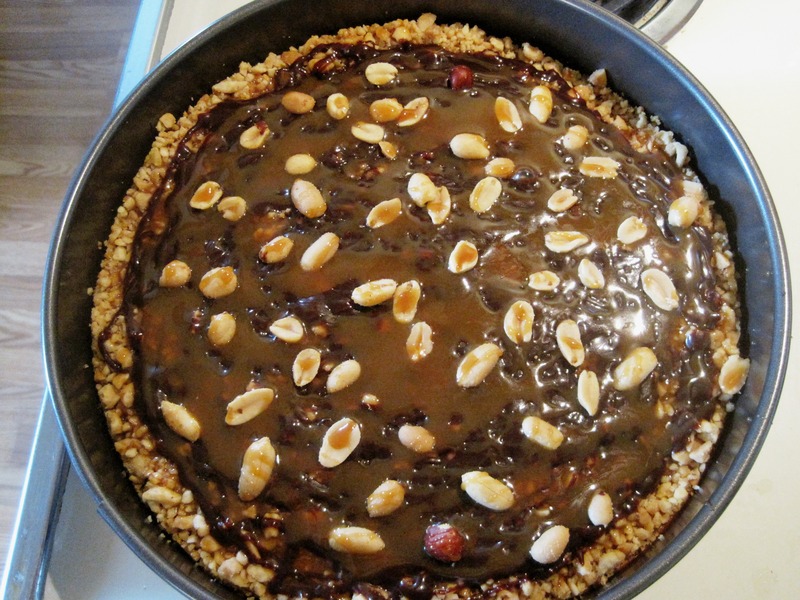 Take your crushed peanuts, approximately 1 – 1.5 cups worth, and sprinkle on top of cheesecake. Return cheesecake to oven and bake for 6 minutes or so, until peanuts set and get slightly toasted. Cool to room temperature. Drizzle with room temp hot fudge sauce and caramel sauce to your liking. Cover and refrigerate 4 hours before serving, and then serve with whipped cream. Have a sweet Valentine’s Day! What are you eating and drinking tonight? Merlot has suffered a plunge in popularity over the last decade or so, though not for good reason. It’s been crowded out by favorite luminaries Washington Syrah, Oregon Pinot Noir, and California Cabernet Sauvignon (at times, perhaps justifiably so). But my heart aches for the underdog, especially when that underdog is just as bright as any other star in the firmament. Image courtesy Five Star Cellars. This is one of the best Merlots I’ve ever had; perfect balance, perfect texture, lovely lovely bouquet and taste. I can’t say enough good things about it. Their 2009 blend is 92% Merlot, 5% Cabernet Sauvignon, and 3% Malbec. Fruit is all from the Walla Walla Valley; hailing from the stellar Seven Hills, Pepperbridge, and Blue Mountain vineyards. See? I’ve made your Valentine wine selection a cinch! This wine is perfect on its own, accompanied by some nice olives, cheese, and crackers, or with a moderately rich beef or pasta dish. When it comes to Merlot, don’t be too quick to judge. Let this wine change your mind and set the bar for enjoying all other Merlots. It does, after all, shine in a class of its own. It’s February 3, 2014, and the Seattle Seahawks are Super Bowl Champions! This was our year! What an amazing game to behold and cheer on. More importantly, it is my 7-year wedding anniversary, and I am thrilled to celebrate with my wonderful husband tonight with some fine steak and, of course, fine wine. No one player is greater than the rest of the team. The Seahawks are your case in point. All play unique roles and all are important. When you happen to find yourself in a position of superiority, glamour, or prestige, never look down on your other teammates. When you are in a position of inferiority, remember your value and importance in your role and don’t waste time and energy envying the other positions. Every job has its challenges. Be gracious to your teammates who are doing the best they can. Be nimble, adaptable, and flexible, because things can all change at a moment’s notice. Just because you carry “names” with you that the media throws at you (best quarterback, worst defense, etc.) does not mean those words define you. Only your performance defines you professionally. You can choose to allow those words to become your identity or leave them be. Life’s highs and victories go so fast. Enjoy them. Let the Gatorade soak you to the bone. When you lose, lose with dignity. It’s not necessarily a reflection on you and your worth as a person. After all, it’s just a game. Don’t keep doing the same thing over and over again and expect the same results. Be willing to take risks and try new things in order to score points. Football is very hard on your body, and you only have so many years in the game. If you want to stay in it longer, take great care of yourself and improve the odds. You cannot control what or who comes at you. But you can control how you respond and react. However, there’s still “in the mean time.” It’s now June, and I am in my 21st week, or about month 5. Still 4 more months of good behavior in store. More than enjoying a glass of wine on its own, I have missed wine the most when I’ve had a very rich meaty or cheesy dinner and I don’t have those precious few sips of wine to wash it down and ease the digestion of fat. It makes a huge difference now in my ability to digest and enjoy a meal. Certain dishes like rich, buttery, cheesy pastas or marbled cuts of beef with velvety sauces are unbearable now without a glass of wine! One night not too long ago, I went out to eat with my girl friend and in the spirit of yea-I’m-celebrating-with-my-out-of-town-friend-I-should-live-it-up I ordered macaroni with three cheeses and kielbasa sausage (makes me sick just to read that now!). What the heck, I thought. I never order this sort of thing, it will be a treat. The dish came, and it was wonderful and addicting, but then I began to fear the power of all that oily cheese and butter and the havoc it would soon wreak on my GI tract. There is a reason I never order this sort of thing without wine! What have I done, I thought to myself with the same disgust and self-loathing of someone who’d just signed up to run a marathon through Death Valley on a July noon. We were about to go see a movie after dinner… would I miss most of it because my body insisted I stare at bathroom wall art work instead? With this snap revelation from Bacchus the Italian wine god, I asked our server if he could bring me some balsamic vinegar. After his first failed attempt of bringing me malt vinegar (the kind Brits put on their fish & chips – not something to slurp on its own! ), he did manage to find some better balsamic and brought it to the table (someone got an education in vinegar that night). My friend had an empty condiment cup from her nacho toppings, so we emptied it and I filled it like a shot glass and slammed that baby down without too much puckering. Praise the Lord, I had no issues! That shot of vinegar did the trick in helping me digest some mighty rich food. I think it probably worked better than a glass of wine because of how much concentrated acidity is in balsamic vinegar as opposed to a single glass of wine. Who knew, huh? The restaurant balsamic was OK, but definitely not the finer, aged, gourmet kind you can savor on its own, with its dark, rich, syrupy smooth sweetness. Sometimes those bottles will run you $30, $40, $50 even, depending on how long it has been aged, and also the name brand. If you want a fabulous, authenic, aged balsamico from Modena, with great texture and smooth, complex aromatics, have I got a sweet little secret! It’s even less than $20. You must think I’m crazy, right? Ha, check this out…. Nectar of the gods, aged balsamic vinegar. Photo by Brenna Arnesen. This vinegar is scrumptious on its own (I’ve enjoyed a couple spoonfuls since being preggo) or mixed with a fine olive oil to drizzle onto roasted veggies or in which to dip big hunks of rustic rosemary bread. For a special treat, drizzle over strawberries, vanilla ice cream, and mint with a sprinkle of turbinado sugar. Or, for an even more ridiculously special treat, stuff some medjool dates with bleu cheese, wrap with bacon, and roast in the oven until cooked through, dark and crispy, then drizzle balsamic over the top. Freaking. Unbelievable. There’s something mysterious yet appealing about balsamic vinegar’s whole “sweet and sour” routine. It’s complex and satisfying, which is apparently something preggos crave a lot, like pickles and ice cream. Don’t worry, I haven’t gotten to that stage yet, at least not eating them together. 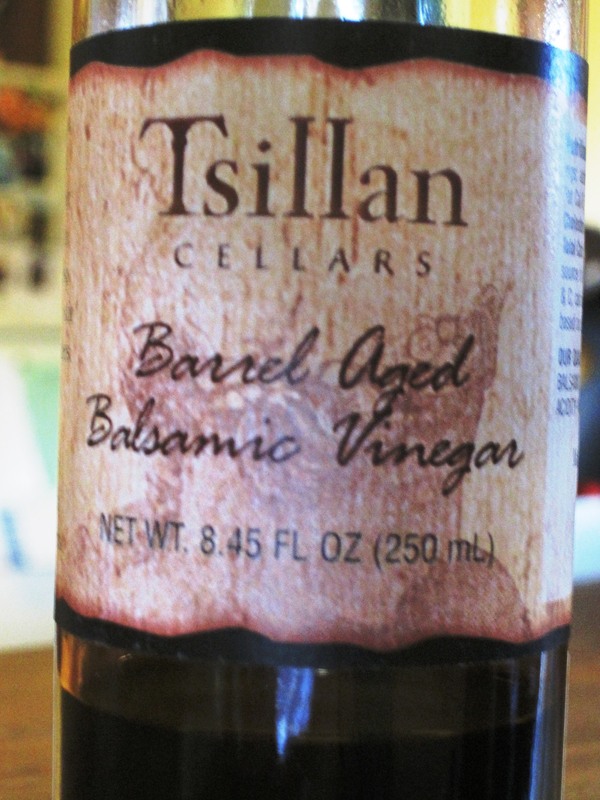 Balsamic vinegar is a whole new paradigm, like parenthood. Just to have a little fun, I thought I would do a two-part series on “What to Drink When You’re Expecting” on The Rambling Vine. With all the fun options taken away during those nine months, what’s a woman going to drink that will be enjoyable and not a drag? Here are the results of my investigation. In anticipation of possibly getting pregnant last fall and winter, I cut down on my caffeine and alcohol intake in order to accustom myself to the probability of going without for about 9 months. So by the time I found out I was indeed pregnant, it wasn’t too hard to abstain, since I’d been having maybe a quarter to half a single glass of wine, not finishing a beer, etc. I have to admit I’ve had tiny sips of my husband’s beer on random occasions these last few months, hardly enough to harm a fly. 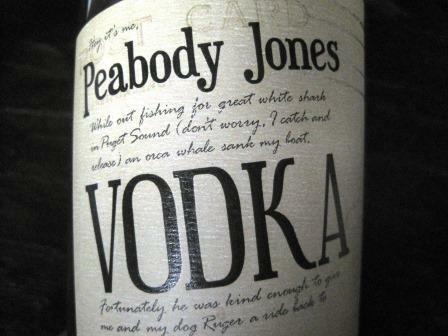 Sneaking sips, though, only reminds me of what I’m missing, and that I had to find some satisfying alternatives. So, I turned to the common non-alcoholic beverage alternatives, most of which involve way more sugar than I’m used to drinking (fruit juice, sodas, iced teas, etc.). Of course water with some fresh lemon is fantastic in copious quantities and should top the list of every pregnant woman, but everyone gets tired of water and needs other options for variety. I am grateful to each and every one of these aforementioned beverages for taking care of my tummy and nausea during the first trimester and satisfying my thirst. Your kindnesses will never be forgotten! And just when you think, hey, sparkling water and tea ain’t so bad, I can do this, you wander into Total Wine & More with your husband, stroll down the aisles and salivate over the beautiful, exotic wines and tempting craft beers that beckon you from their shelf perches. I pouted as I realized I couldn’t buy wine for myself for a while longer yet, in large part because we already have plenty of wine that will need to be consumed after I give birth (and indeed it shall be heartily imbibed!). As I wandered by the O’Douls in one of the beer aisles, I looked up and read the “Non-Alcoholic Beer” tag, and had a moment of truth… this was the one and only time I’d have to try non-alcoholic beer and wine, and see if the stuff was actually worth drinking. Does it actually hit the spot and make you feel like you’re not missing anything? So I grabbed the sales guy, asked him what he thought their best non-A beer and wine were, and purchased those immediately. Anything for the sake of research! This isn’t terrible, it’s a lighter beer but the flavor is OK, especially if you don’t remind yourself it’s non-A. 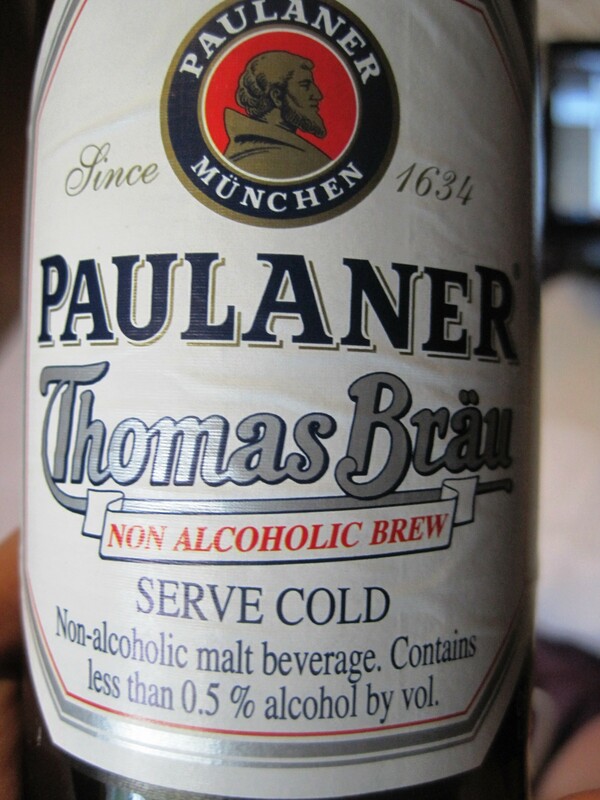 There is less than 0.5% alcohol by volume. 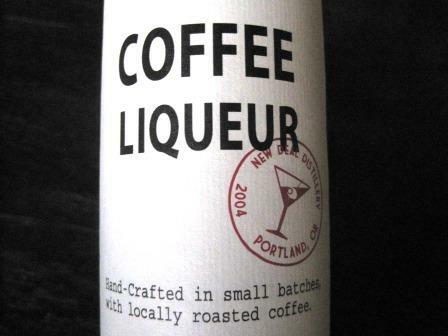 I wouldn’t turn one down if offered one of these at a BBQ, but for sipping on its own, meh. On the whole, not bad. I have to say I liked the beer much better compared to this swill. Here are my tasting notes on this “beverage”: on the nose, mildewed gym socks overshadowed by aged cardboard, on the palate, stewed dirt with hair spray, and on the finish, garden compost mingled gently with bleach and tobacco. And I’m being serious! If this is the best non-A wine they have to offer, then leave it, it’s horrible. I have nothing good to say about this. Even my husband tried it and found it abysmal. Happy Memorial Day weekend! Hard to believe it’s already that time of year, isn’t it? It’s only Sunday as I write this, but celebrations are in full swing in my hood. The sliding door to our deck is open and our neighborhood is awash with the beautiful, tempting aromas of smoke and hot, seasoned, dripping meat. It’s enough to make even the staunchest vegan renounce their (silly) ways once and for all. This holiday truly marks the beginning of summer and the launch of regular grilling season. It’s been a LONG winter so I am more than ready! over hickory wood chips. Heaven! A Memorial Day weekend BBQ calls for nothing less than an outstanding red wine to go with your outstanding grilled meats. But with so many great choices for pairing grilled foods with wines, where do you even start? Since I’ve been rather enamored as of late with Spanish reds (see my last post), the choice was easy: Marques De Caceres Rioja Reserva 2005. This Spanish red is made from Tempranillo grapes and scored an impressive 91 points from Wine Spectator. While the bottle makes it look like the wine itself is called Rioja, Rioja simply refers to the region of Spain where the wine is from, not the grapes themselves (kind of like Bordeaux in France). This elegant, sophisticated red has great structure, appropriate tannins, great nose, and deep, rich flavor on the palate. It was something I picked up for fun one day at Wine World in Seattle. I can’t say I had any BBQ with it when I first tried it, but I can’t deny I didn’t fantasize about all the juicy, succulent BBQ meat dishes it could pair with.